The all-new ZR8 was built with one goal in mind – performance. And performance means many things – power, speed, endurance, efficiency, versatility and recovery. With the ZR8 premium zero-impact running machine, you’re equipped to take your running program to the next performance level. Treadmills subject the entire body to significant repetitive stress. And the moving belt throws the foot off the belt so runners do not activate the hamstring muscles like they do outside, which can impact performance. 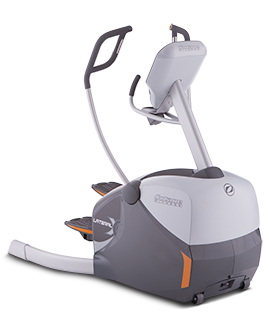 To perfect form and speed, the Zero Runner is equipped with foot sensors in the pedals that enable you to monitor your gait. When connected to the SmartLink™ app, follow the gait tracing technology to ensure that you are as efficient at mile seven as you were at mile one. With the Zero Runner, you are freed from the high-impact forces of running, yet still can enjoy the natural, free feeling of true running. The Zero Runner is also quiet and is self powered. The ZR8 model is the fast, versatile choice for the elite runner, marathon racer or anyone who wants to run more efficiently, longer and faster. It helps runners build endurance and speed while managing any recurring issues and avoiding overuse injuries. Plus, with the gait tracing technology on the Zero Runner, you can keep an eye on your form to ensure that it remains consistent and strong, even as fatigue sets in. Maintain proper form to reduce impact whether on the Zero or on the road. Years ago, all runners did was run, eventually breaking down their bodies and having to end their running career early. Today, it’s still all about running – but smarter running. It’s incorporating cross training into running regimens to overcome weak links and build stronger muscles that get you to the finish line healthy. 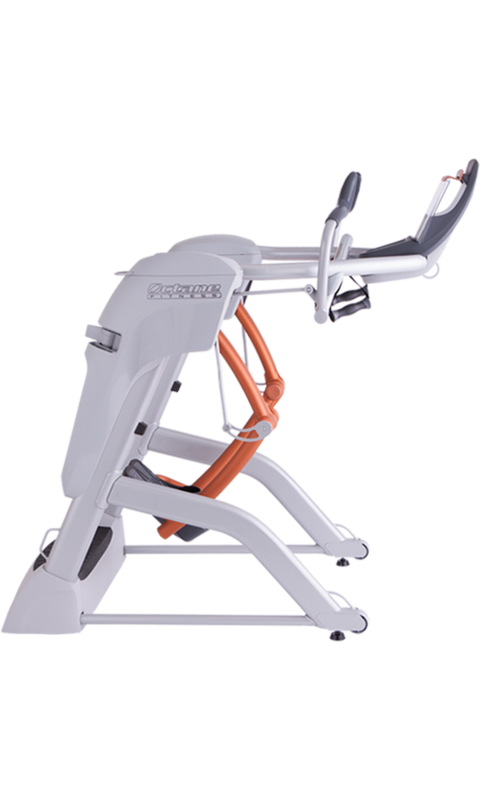 For runners who struggle to incorporate cross training, the Zero Runner makes it simple. 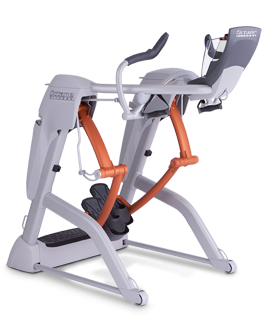 With the CROSS CiRCUIT® routine, runners can alternate intervals of running on the machine with strength training and flexibility exercises on the floor. This delivers running-specific – but impact-free – training, combined with valuable strength and stretching moves that maximize stamina, help preserve form and create more balanced strength. Olympian Carrie Tollefson demonstrates how to get started on the Zero Runner. Watch this video to see how the Zero Runner stride is the same as that used on a treadmill – only without the repetitive pounding and ground forces on the body. That's why the Zero Runner is better than a treadmill. 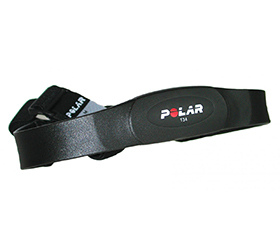 It provides you all the same benefits of a treadmill workout but the Zero Runner also provides protection for your joints. Incorporate the Zero Runner into your routine for greater efficiency, more strength and avoid injury. With the Zero Runner, you are freed from the high-impact forces of running, yet still can enjoy the natural, free feeling of true running. Treadmills do not offer a zero-impact running experience or the ability to help you learn more about your running. The Zero Runner equips you with gait tracing information so you can make sure you are consistent with your form throughout your run. Plus, it’s self-powered so it’s much quieter than the loud moving belt on a treadmill. 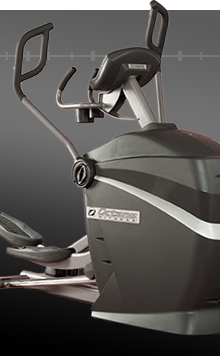 Made of aircraft-grade aluminum and redesigned lightweight pedals, the ZR8 boasts light legs and a fast cadence. With the smooth, natural motion, the Zero Runner is running…only better…so you can focus on greater efficiency and enhanced performance. And with the reinforced frame, the rock-solid ZR8 is built for maximum stability and to take a beating, over and over, to the finish line. Equipped with a higher workload, the ZR8 lets you vary the resistance level throughout runs. Turn it down and sprint or increase the resistance to work on your heel kick and activate more hamstrings, quads and glutes. Change the resistance to incorporate different paced intervals and tempo runs to become an overall stronger runner. As training progresses, step up to the free-moving performance handles that allow you to replicate the natural arm motion you use outside. With the performance handles, you also benefit from greater core and balance work. When it comes to upper-body ergonomics, the contoured handles place you in an ideal upright position, ready to run. Multiple hand placement options fit users of all sizes and preferences. For maximum efficiency and comfort, place the hands at the top of the handles and run with your thumbs up. Take advantage of goal-based programs; workout tracking; live videos of CROSS CiRCUIT exercises and Workout Boosters and a ton of extras that help you get – and stay – fit! Compatible with Bluetooth 4.0; 4th generation iPad or later, iPad Mini 2 or later, iPhone 5 or later, iPod Touch 6th generation or later; running iOS 10.0 or later. Internet connectivity required for certain videos either through WiFi or mobile networks (GSM/3G/4G/LTE). Android Tablets running Android OS 5.0 or later, 1 GB of RAM (not compatible with Android phones). Note: Video is of Octane Fitness app on Apple iOS device. App display and functionality will differ for Android devices. Equipped with more information and knowledge about their performance, runners have the data they need to address potential weaknesses and optimize performance. Unique gait tracing technology allows you to monitor your stride length and heel kick height. Typically, stride shortens and heel kick height decreases with the onset of fatigue, which can compromise overall form and results. With stride tracing, runners can make real-time adjustments to remain equally strong throughout runs. 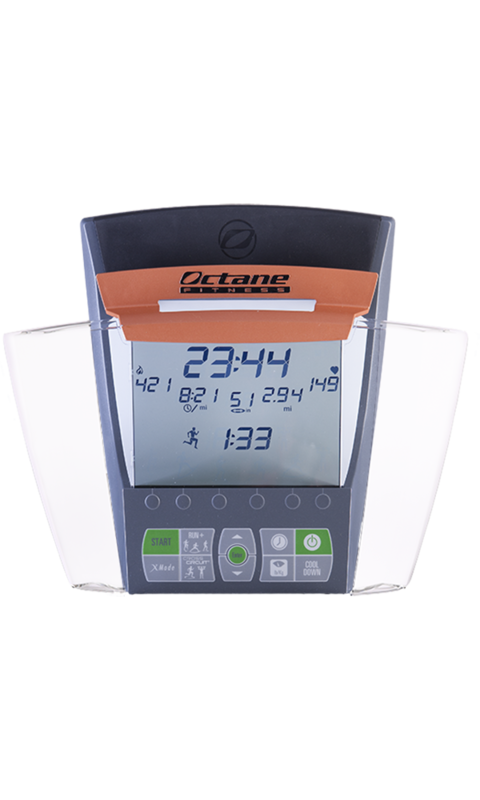 Note: Displayed images are of Octane Fitness app on Apple iOS device. App display and functionality will differ for Android devices. The Octane Fitness app is loaded with goal-based programs that coach, motivate and drive results. Focus on endurance, strength or active recovery by following routines developed using input from fitness professionals, athletic coaches and physical therapists to stimulate progress and performance. 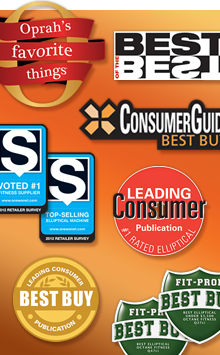 Take advantage of additional expertise in creating customized training regimens. Plans such as 5K, 10K, ½ marathon, marathon and “just run” include outdoor runs and indoors sessions on the Zero Runner and help runners train specifically to conquer their goals. Now expertise and custom guidance are literally at your fingertips so that every run is a productive one! Runners like to run. A lot. And sometimes that’s all they want to do, which can cause an injury and sideline them – resulting in bad news for race preparation. But cross training helps strengthen the entire body for greater fitness and better overall balance. 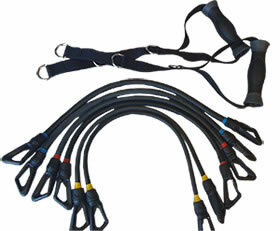 CROSS CiRCUIT makes cross training simple. 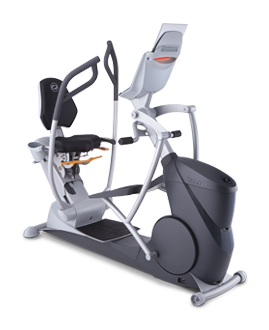 It combines cardio intervals on the Zero Runner with strength training or stretching exercises next to the machine for exceptional effectiveness and efficiency. Runners still get to enjoy their runs – but now complement them with valuable strength and stretching work to address weak links, build the core and attend to the upper body. Not only is cross training good for you now, but can ultimately extend your running career. Exclusively running excessively is no longer recommended. Professional runners, including 2014 Boston Marathon winner Meb Keflezighi, now consistently engage in cross training to increase strength and stamina, boost their race times and enhance recovery. 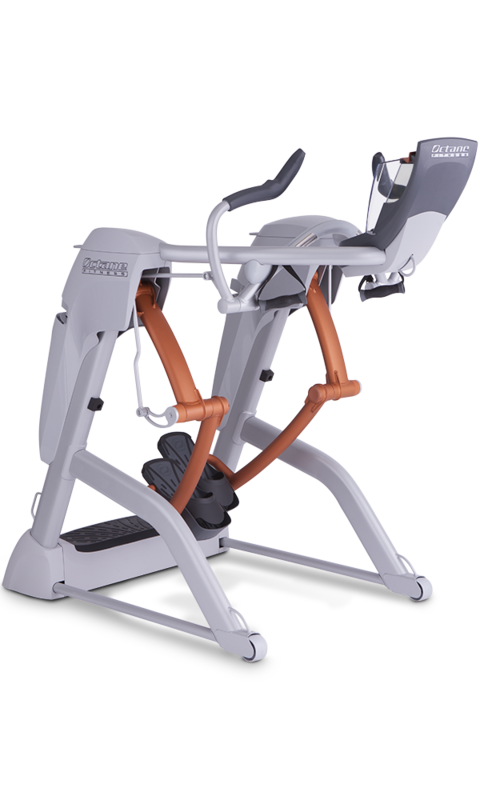 CROSS CiRCUIT on the Zero Runner delivers multiple options to challenge and strengthen runners, including lateral training, plyometrics, core moves and upper-body work. Cross training helps correct muscular imbalances in runners, like quad dominance, to reduce the chance of injury. And greater overall strength means better running economy and form. With CROSS CiRCUIT, the work is already done for you, so there’s no need to research different exercises and slog through developing a new routine every few weeks. 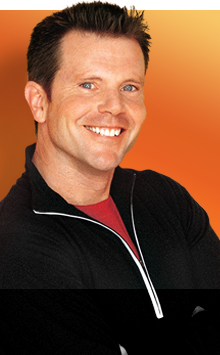 Now, you simply pick a customized routine based on your individual goal, and get going. Video demos of exercises make it easy to follow along. While working on your running muscles is definitely beneficial, one advantage of CROSS CiRCUIT is that it requires you to hit other muscles as well, such as the core and upper body, that can help you power through tough races. And the flexibility exercises, which some runners may tend to skip, help reduce stiffness, increase range of motion and expedite recovery. 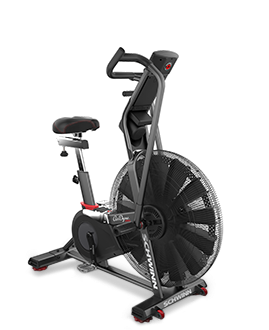 Note: Wireless heart rate monitoring is only available on xi, ci, ce, and e model consumer consoles, ZR8 and ZR7 Zero Runners, Airdyne Pro, and all commercial grade products. We purchased a ZR8 Zero Runner 6 months ago and my wife and I, both in our 50's, use it regularly. We love the free flow of the machine and the versatility of the stride length. 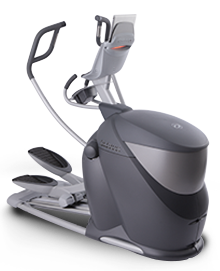 We have worked out on many different elipticals and even high-end models with adjustable stride lengths do not offer the full range of motion that you get with the ZR8. 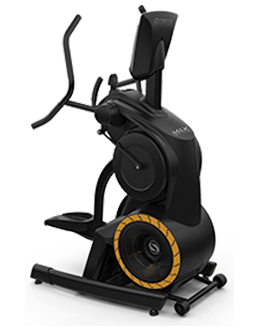 We do lots of high-intensity interval training with the ZR8 and it performs beautifully. We would like to see a cadence option on the display and compatibility with fitness wristbands, but otherwise, we are very satisfied with the ZR8. We've had our ZR8 since December, and both my wife and I LOVE it!! The circuit workouts that come with the app are a hit with my wife, and I love the fact that when either one of us is using the machine, it is totally silent!! We both have put several miles on the machine, and look forward to putting many more on it. I got my zr8 last summer... and was amazed at how smooth and the workout was fun.... everyone that comes over wants to try and use it. Still a fun workout. After knee surgery and being told not to run outside anymore, I found myself dreaming about running. After discovering the ZR8, I can now get a great workout with no impact and pain. I can exercise at aerobic racing capacity and my dreams have become my reality! I absolutely love the Zerorunner! I have been a runner since participating in high school track and cross country. I have enjoyed running for many years , and have completed several half marathons and 2 marathons. 2 years ago I had knee arthroscopy and was told that my knee injury was bad enough that I should consider giving up running. I have tried elliptical training and mountain biking during the past 2 years, but have really missed running. I purchased the ZR8 Zerorunner, and have been amazed at how well this machine replicates the mechanics of running without any impact. I could not run 1/4 mile on my treadmill without experiencing knee pain, but with the Zerorunner there is absolutely no pain. This has been a game changer for me. I highly recommend the Zerorunner for anyone who wants to run without the effects of impact.